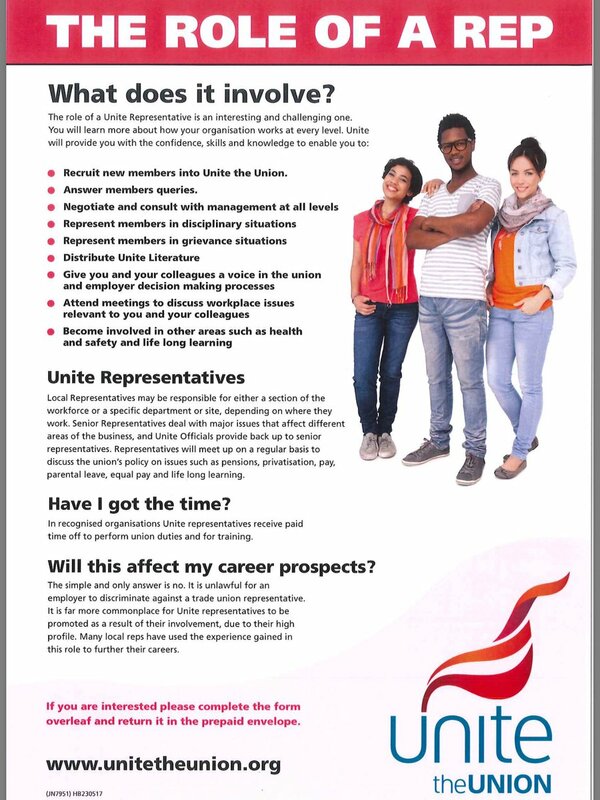 Get Active, Get Involved, Become A Unite Rep. Whether you’re employed by an OCA Company a CoTA Company, a Drilling Company or any of the Big Oil Companies now is a good time to roll up your sleeves and get involved. If you work offshore in the Oil & Gas sector and are not yet a member of a trade union can you afford not to join? CHC Helicopters have threatened to sack all their 85 UK based pilots if each pilot does not agree to negotiations aimed at reducing their annual pay. Oil and Gas People has learned that CHC Scotia Ltd is seeking to change the terms and conditions of all their UK-based pilots – preferably via negotiation, but if not, by imposition. The proposed pay negotiations are set to take place between the 24th May and the 23rdJune 2017 with CHC threatening to terminate the contracts of those unwilling to negotiate. If any pilots were to have their employment terminated, CHC intend to offer new contracts on revised and inferior terms. It is unlikely CHC’s pilots will willingly accept pay reductions, as helicopter pilots require thousands of flight hours to fly commercially and are required to continually develop their skills. Pilot salaries are relative to the technical skill sets required and the decision for one operator to reduce salaries beyond the norm could result in an out-flux of experienced pilots. A CHC spokesman, said: “We are not seeking to reduce the number of our pilot workforce. We have entered a period of collective consultation with the pilots’ union BALPA regarding the standardisation of terms of conditions. CHC’s parent company has only recently come out of Chapter 11 restructuring – aimed at preventing bankruptcy. This move allowed the organisation to wipe off over $1 billion of debt and in turn significantly reduce the size of their overall helicopter fleet. The strong-arm move to reduce salaries is unheard of in the UK aviation sector and may signify that CHC’s Chapter 11 re-structuring has not achieved the long-term financial stability it was hoping for. The Offshore Coordinating Group (OCG) – offshore trade unions UKCS have scheduled their 2nd webinar where trade union officials are available to you (wherever you are) to answer any questions or concerns you may have. Please circulate the attached poster to advertise to any interested parties you may have to see what the OCG are all about. and you can register in minutes for the webinar. A NORTH Sea oil platform has been shut down following a gas leak. The gas detection alarm sounded on Friday morning on Shell’s Brent Charlie platform, 115 miles north-east of Shetland. Shell said all 176 people on board have been accounted for and a total of 31 non-essential workers are being evacuated from the platform as a precaution. The spokeswoman said the leak was discovered on the platform above sea level and there was no impact on the marine environment. RMT/OILC- SERVES NOTICE OF BALLOT ON OCA FULL MEMBER EMPLOYERS. Subject: RMT/OILC- SERVES NOTICE OF BALLOT ON OCA FULL MEMBER EMPLOYERS. ON OCA FULL MEMBER EMPLOYERS. RMT has served notice of ballot on OCA [Full Member] employers as of today Wednesday 17th May 2017. Further details are to follow by a circular to be issued by General Secretary Mick Cash on Thursday 18th May 2017 outlining the timetable for ballot and when ballot papers are to be sent out and when the ballot shall close. Further details in the circular issued by the General Secretary of who to contact if you do not receive a ballot paper will follow. I can advise to all OCA [Full Member] employed RMT members that ballot papers have not been sent out yet and to wait for the circular to be issued on Thursday 18th May 2017. We have built an on-line resource page for members involved in the OCA ballot. Please keep checking this on a regular basis and if you need specific material for your company or installation then let us know.